New session for IPL-4 has been started with fresh auction of Players , which will be taking place on 8th and 9th of Jan 2011. It will be live on SETMAX. A total of 350 players have been put into the auction pool with only 12 players being retained by the existing franchisees. Two new teams — Sahara Pune Warriors and IPL Kochi — will take part in the auction for the first time after successfully winning the bids for the fourth edition. Sachin Tendulkar (Mumbai Indians); Harbhajan Singh (Mumbai Indians); Lasith Malinga (Mumbai Indians); Kieron Pollard (Mumbai Indians), M S Dhoni (Chennai Super Kings); Suresh Raina (Chennai Super Kings); Murali Vijay (Chennai Super Kings); Albie Morkel (Chennai Super Kings); Virat Kohli (Royal Challengers Bangalore); Virendra Sehwag (Delhi Daredevils); Shane Watson (Rajasthan Royals) and Shane Warne (Rajasthan Royals). A portly, flamboyant Vijay Mallya, a liquor to airlines honcho, dimpled Preity Zinta, the lissome Shilpa Shetty, the diminutive Gayathri Reddy and Nita Ambani, another portly honcho N Srinivasan and above all the ‘King of Bollywood’ Shah Rukh Khan or their representatives will be bidding for their best bets. The 2011 edition of the IPL will see 74 matches with ten teams and some of the hardest hitters and greatest bowlers in action. The team owners make money from gate collection at the stadium, from advertisement, from selling team memorabilia. Many run websites too to build dedicated fan base and sell items, from T-shirts to cricket gear with the team logo embossed. The structures of the IPL teams have been such for the first three editions that no four retainable players put together would be worth more than $3.5 million. The combined worth of the four players being retained by any team shall have to be calculated. The expenditure cap of the IPL teams will be that much less than the original $8 million cap for the IPL auction 2011. 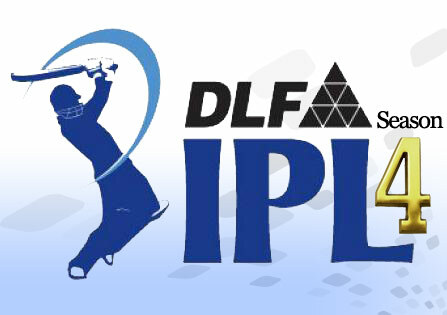 These guidelines suggest that the forthcoming IPL auctions will be another electrifying event. From a five-day Test with a rest day in between, cricket has grown in popularity exponentially with introduction of the one-day format. SET Max will telecast live the players’ auction for the fourth season of the Indian Premier League (IPL) to be held in Bangalore on Saturday and Sunday.